Denver, Colorado has been listed on multiple “Top 10” Lists for being a great place to live, work, and a great place for real estate development. The inventory of solid homes in need of a bit of rehab is plentiful, and investors and builders alike are clamoring for a piece of the action. 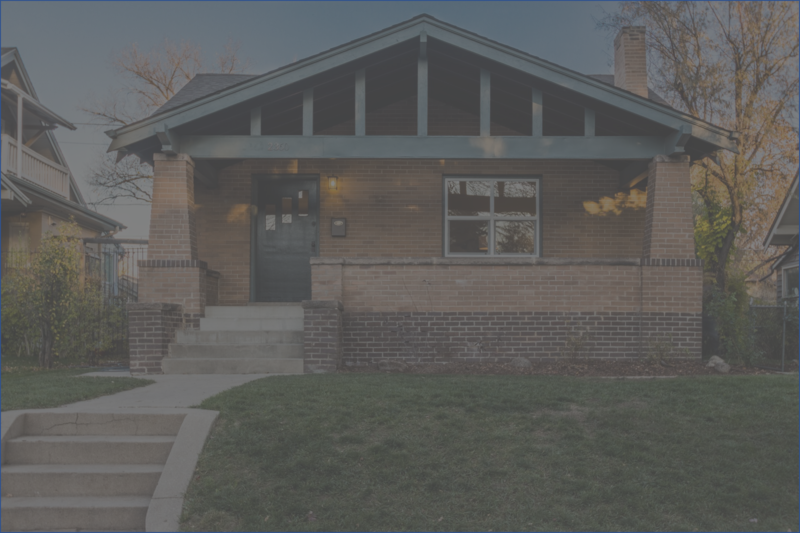 Recently one of these very successful companies, AIM Homes, identified a rehab opportunity in a popular Denver neighborhood, utilized a loan from Iron Bridge Lending, and netted $65,000. While in the midst of successful careers in corporate America and raising 3 children, Adam & Ines McCanna set their sights on real estate investing. They were in search of a profession where they could combine past experience, their love for real estate, and passion for helping others. The two founded AIM Investment Solutions, Inc. in 2013, and have completed over $5,000,000 in real estate transactions since inception. Today, they continue to focus on growing their family business with the goal of putting their customers first. 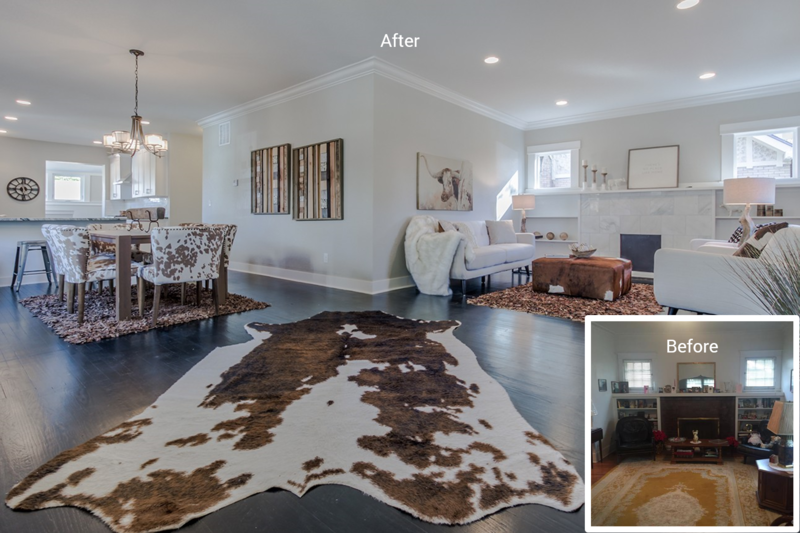 The large ranch home in the desirable Park Hill neighborhood features original wood floors refinished in dark rich ebony, contrasting the new light and bright walls and trim. The living room features the original built in shelves around a gas fireplace. The floor plan is open and inviting with lots of natural light coming through the new double pane windows. The gorgeous kitchen is large, with lots of storage space, featuring SS appliances and beautiful granite counter tops. 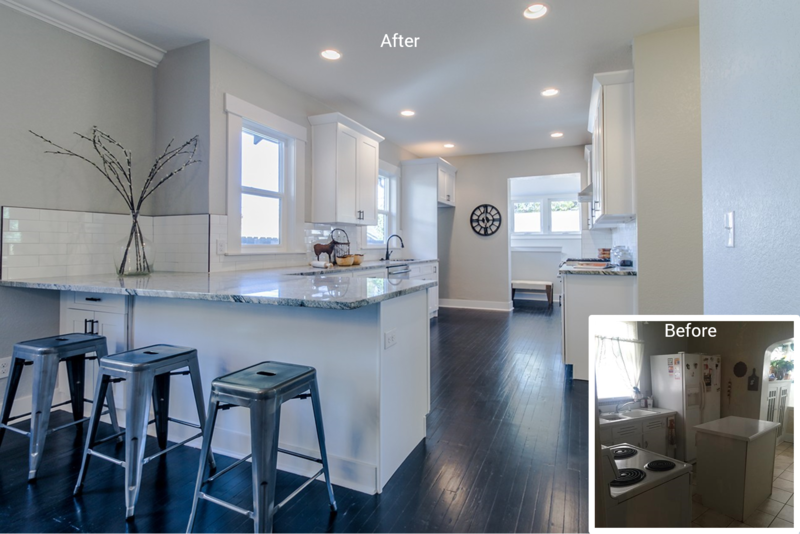 The custom white shaker cabinets are the backdrop and offer loads of storage space in the kitchen. The main level master bedroom and bathroom are light and airy, with a relaxing ambiance throughout. The fully finished basement features two additional bedrooms and a gorgeously renovated bath. The family room is the perfect place to spend time with the family around a cozy wood burning fireplace. “Yes there were a few obstacles, as usual,” shared Adam, “but the project still ended up being successful for us.” However, one setback was that the city required a beam that was installed to be engineered during the framing inspection. “This stopped construction for 3 weeks while we waited to get an engineer out to the job site,” added Adam. Another great learning experience that Adam shares involves working with subcontractors. “We need to hold our subs more accountable,” he says, “and if they don’t show up to do the work when they say they will, we need to move to more reliable subs quicker.” The project did go approximately two months longer than planned, with both the beam inspection and underperforming subs contributing to the extended timeline. Iron Bridge has complete control of loan approvals and can assure funding upon project approval. We are not a broker. Only pay interest on construction funds as you draw them, rather than all at once. Simplifies all communication and leads to fast, thoughtful decisions so your project can move quickly. Our online portal allows easy access to your existing loans, draw requests, payment history and more. Our goal is to disburse funds for each draw request in less than 7 days from the date a complete draw request has been received. Gives qualified borrowers the financing they need to secure their next project while they finish up the first. Iron Bridge Lending is the preferred lender for professional rehabs, fix & flips, and new construction loans nationwide. Give us a call or click below for your next project and let us show you the Iron Bridge Advantage. We will work with you to make your next project, your best project!